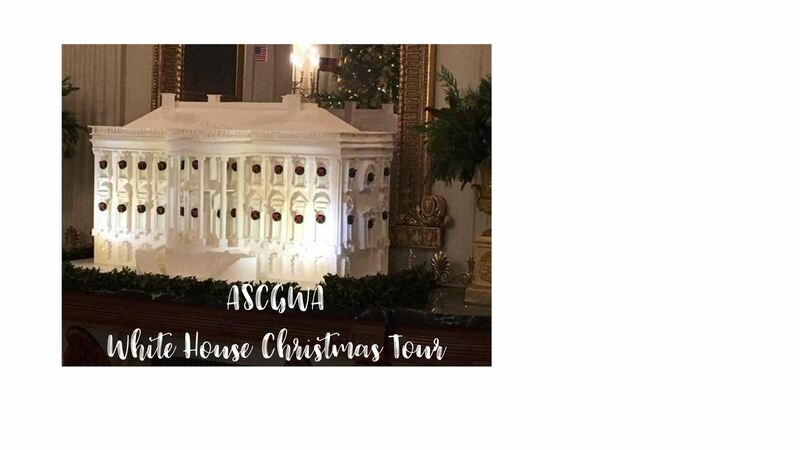 This is the last chance for ASCGWA members to register for the December 14th White House tour. Registration will close at midnight on October 10th. Please DO NOT register for this tour if you are already confirmed for a White House tour on another date. We have secured this White House Holiday Tour thanks to the support of Congressman Phil Roe of Tennessee. Late registrations and cancellations will not be accepted by the White House Tour Office so please be certain you can attend on December 14th before you register for a spot. The tour will take place between 7:30 am-1:00 pm. Registrations will be confirmed after Friday, October 12, 2018. You will receive the official link to register for the tour after our registration closes. You will enter your personal information via the White House link, NOT on the club website. Instructions will accompany the email. Pending final approval from the White House ASCGWA will receive our tour time a week to two weeks prior to the tour date.